There have been many people for whom limitations, failure, loss, illness, or pain in whatever form turned out to be their greatest teacher. 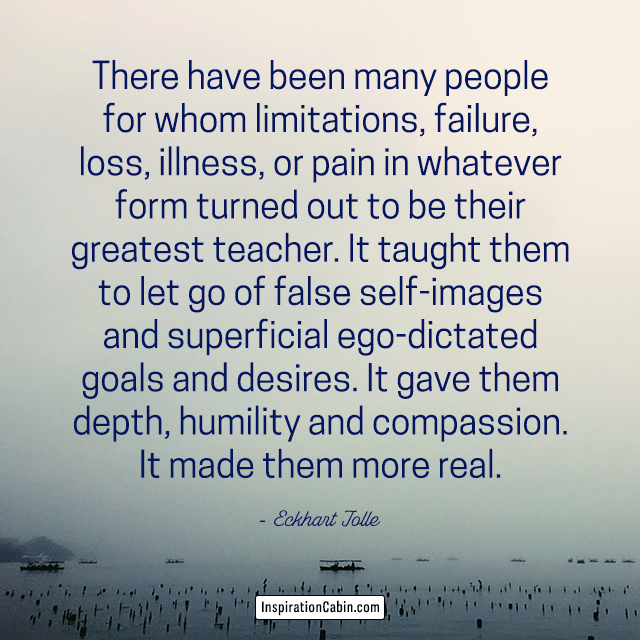 It taught them to let go of false self-images and superficial ego-dictated goals and desires. It gave them depth, humility and compassion. It made them more real.